There are a number of reasons why individuals feel the need to file for bankruptcy. Some people file for bankruptcy because of the inability to afford house payments after becoming unemployed. Some people file bankruptcy in an effort to get rid of numerous creditors threatening to wreak havoc financially in order to recover a debt. In most cases, the cause for filing bankruptcy is to eliminate credit card debt, which happens to be one of the leading causes of the current American debt crisis. Believe it or not, recuperating from bankruptcy especially one involving a credit card, could leave individuals hesitant to invest in yet another credit card, but some are actually the best credit cards after bankruptcy. Is After Bankruptcy a Good Time? Hesitation to apply for a credit card is reasonable for individuals who have recently filed for bankruptcy. Those credit cards offers that always appear in the mail may not look as tempting but as a complete waste of time. However, the best credit cards after bankruptcy are secured credit cards. These cards are being offered because credit card companies are already aware of the recently filed bankruptcy. After bankruptcy, the individual must repay current debts on time to avoid any serious penalties. Deposit cash. When the cash is deposited, there is a credit limit set on that specific amount. Keep in mind that this is not a prepaid debit card. Although cash is deposited on the card and no charges are deducted from the card, there is still a statement with a charge that must be paid by the due date. Make payments on the due date. In the case of any late payments, charges could be deducted from the deposited cash. Be aware that normally, special offers and rewards are not offered with secured credit cards. Remember that not all secured cards have the same features. Interest rates, fees, grace periods, and other features will differ from card to card. The terms may not be appealing, but it is one of the best credit cards after bankruptcy because after bankruptcy, there must be a fresh start to build credit. Secured cards provide individuals with the opportunity to successfully build their credit. Credit cards can be a very expensive item to own. A person applying for a credit card after bankruptcy will probably be bombarded with a lot more fee than a person having not filing for bankruptcy. There are only a few secured credit cards that required large costs even before the $75 processed application is approved. But, aside from those expensive secured credit cards, there are a wide variety of secured credit cards that are inexpensive and easier to afford. The interest rate of secured credit cards is another reason why this type of card is one of the best credit cards after bankruptcy. At this stage in a bankruptcy filer’s financial life, interest rates should be the last thing that the individual worries about. With that being said, interest rates should not determine which secured credit card to get or deter the person from applying to receive the credit card. It is important that all individuals know and understand the importance of paying interest on a credit card, especially individuals who have recently filed for bankruptcy. 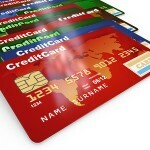 Regardless of the interest rate, it must be paid and secured cards help individuals to get into the habit of doing so. Another factor that makes secured credit cards one of the best credit cards after bankruptcy is the grace period allowed before the card starts to draw in interest. THERE IS NO GRACE PERIOD! Before bankruptcy, grace periods were a dream come true until the realization sets in that a grace period allows a certain amount of days or months that the credit card owner can skip payments without the addition of interest. Hence the reason for credit card debt. The fact that secured cards have no grace period does not allow the credit card holder to not be tempted to miss any payment and to take care of interest from the start of using the card. How Does Secured Credit Cards Report? The bottom line of filing for bankruptcy is to improve credit score. All credit must be reported in order to improve bad credit. The best credit cards after bankruptcy will report to the credit bureau to track the progress of credit. If the secured credit card does not report to the credit bureau, owning one will not be helpful in improving credit score. In conclusion, no individual should let bankruptcy scare him or her from applying for another credit card. The best credit cards after bankruptcy are secured credit cards, and they are great for helping individuals improve their credit scores.